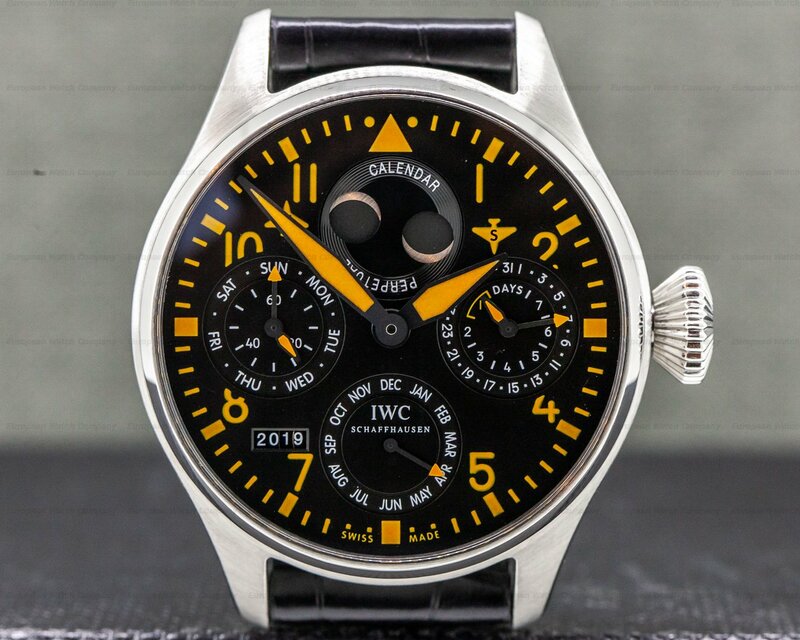 This is a stainless steel IWC Big Pilot Perpetual Calendar IW502618. 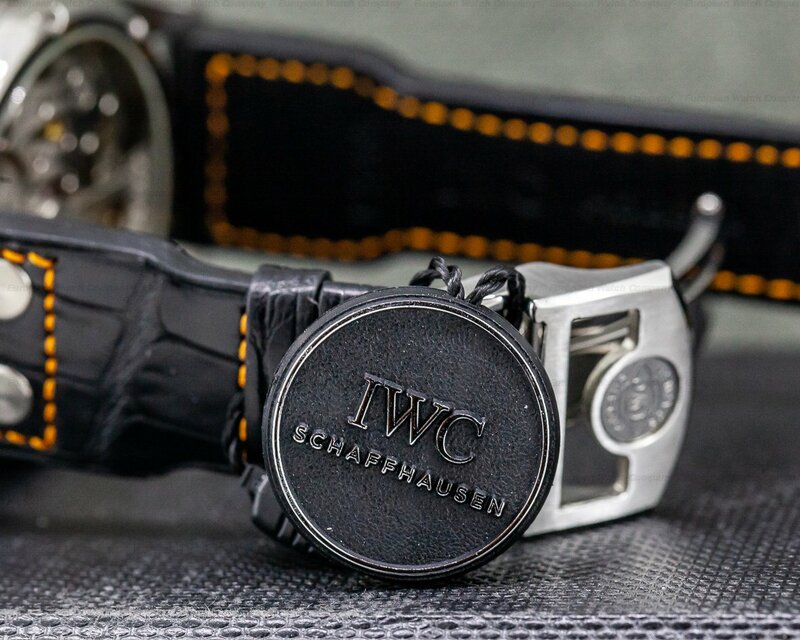 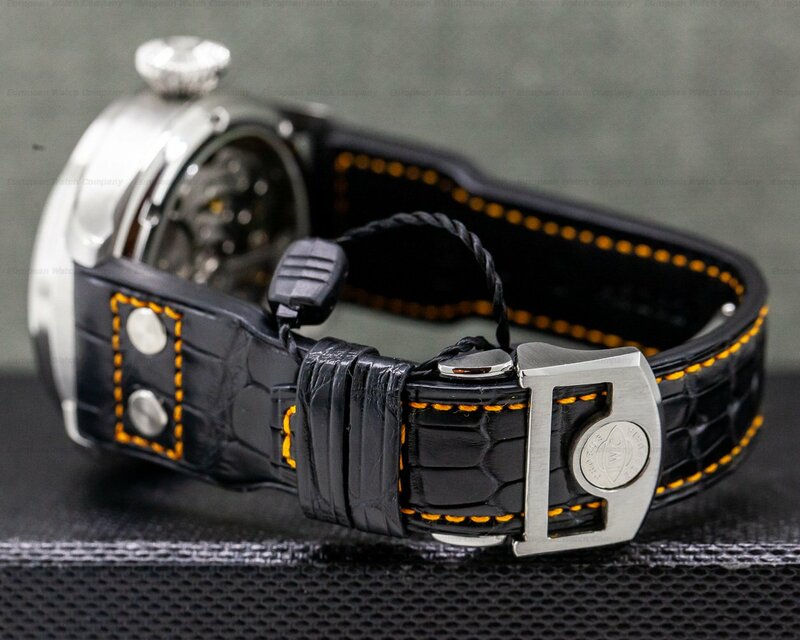 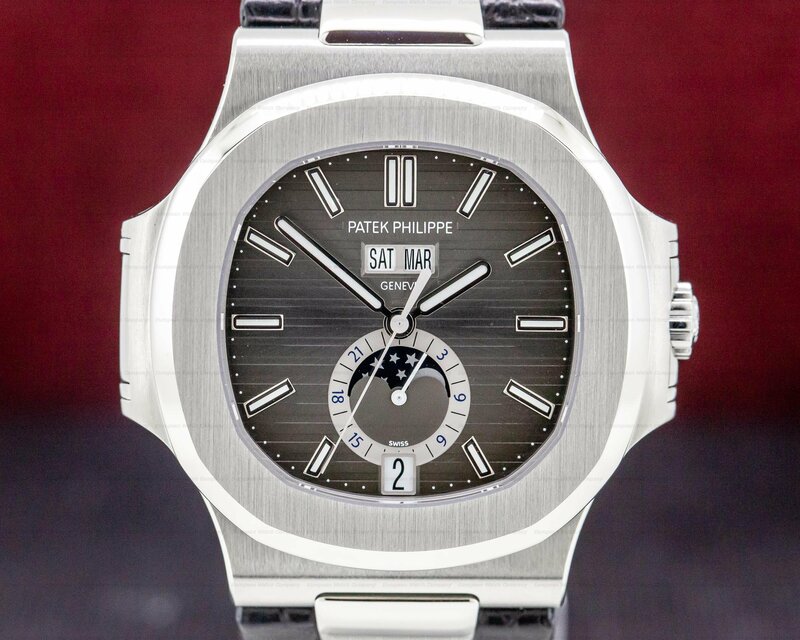 It has an alligator leather strap with a matching stainless steel deployant buckle, and a scratch resistant anti-reflective sapphire crystal secured against extreme drops in pressure. 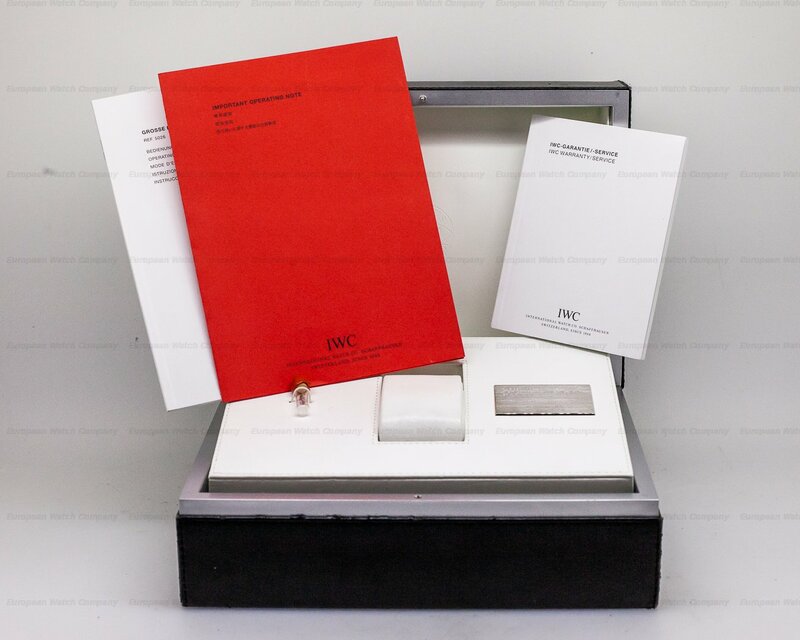 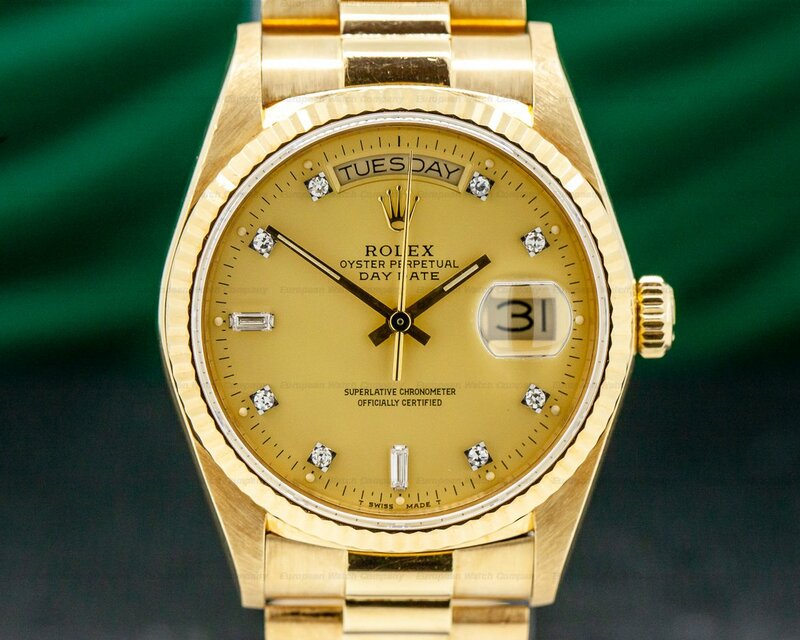 It has a screwed down solid exhibition sapphire crystal case back and crown. 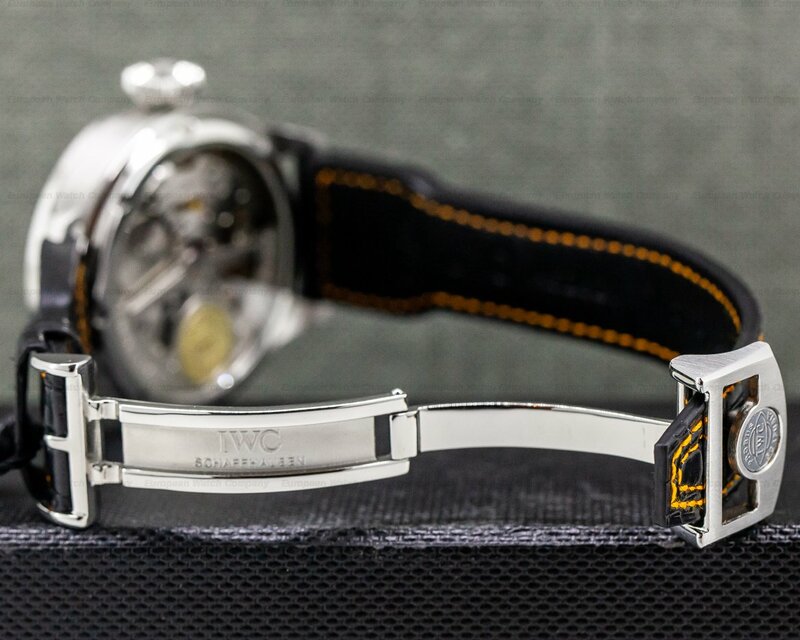 The 46mm diameter solid three body case, downturned lugs, and cupped bezel are polished/brushed. 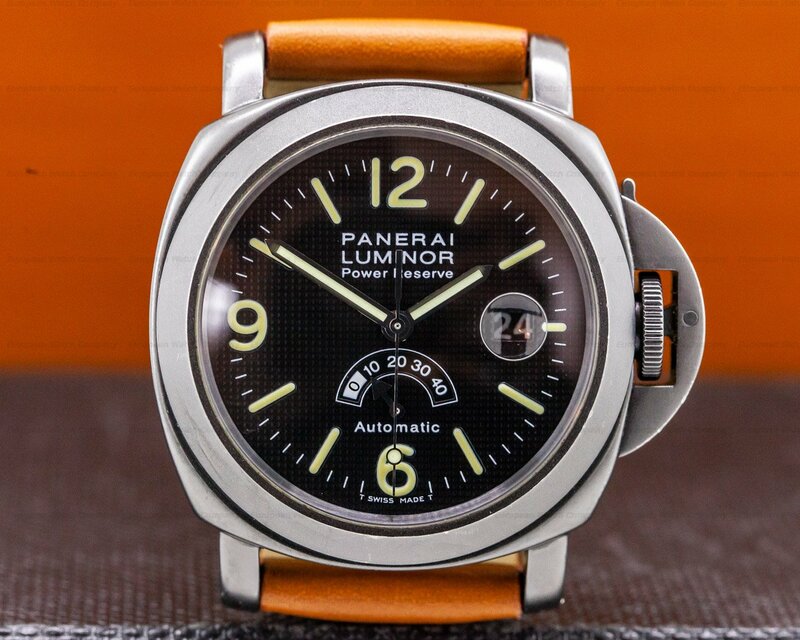 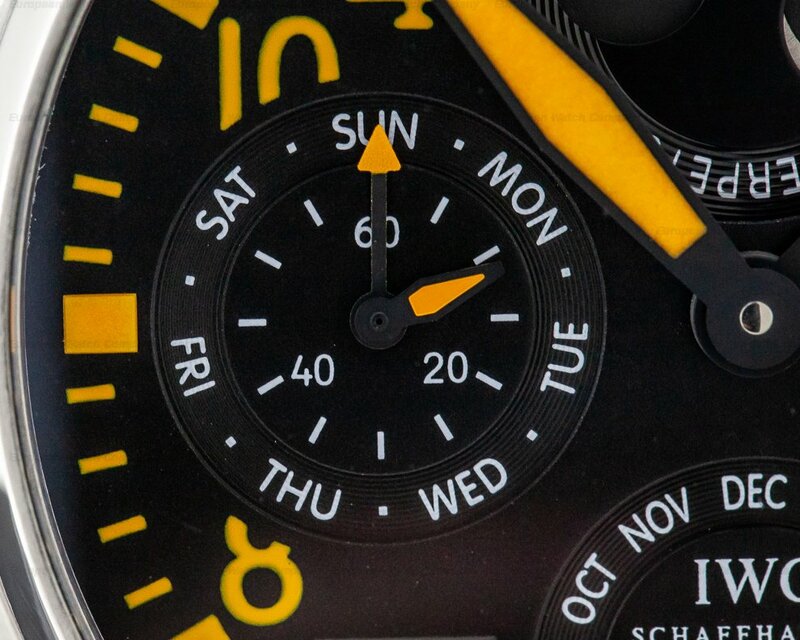 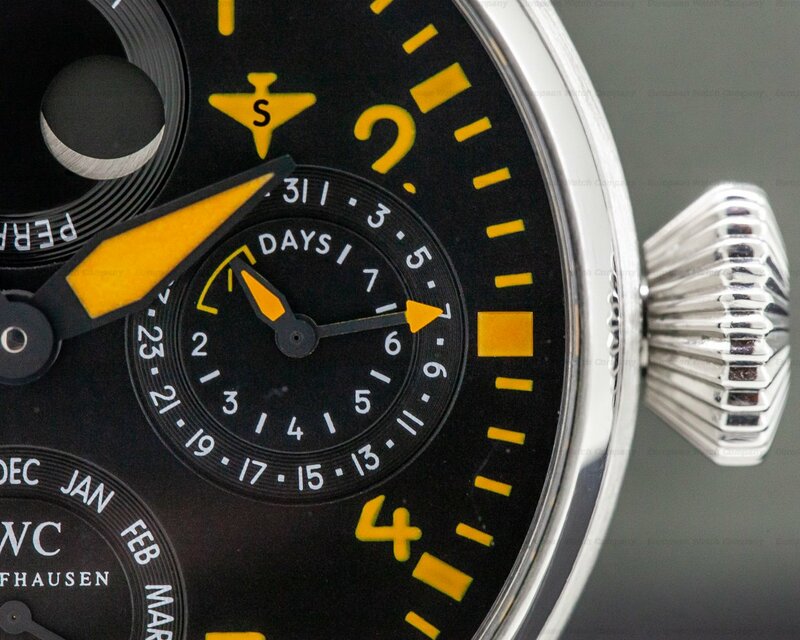 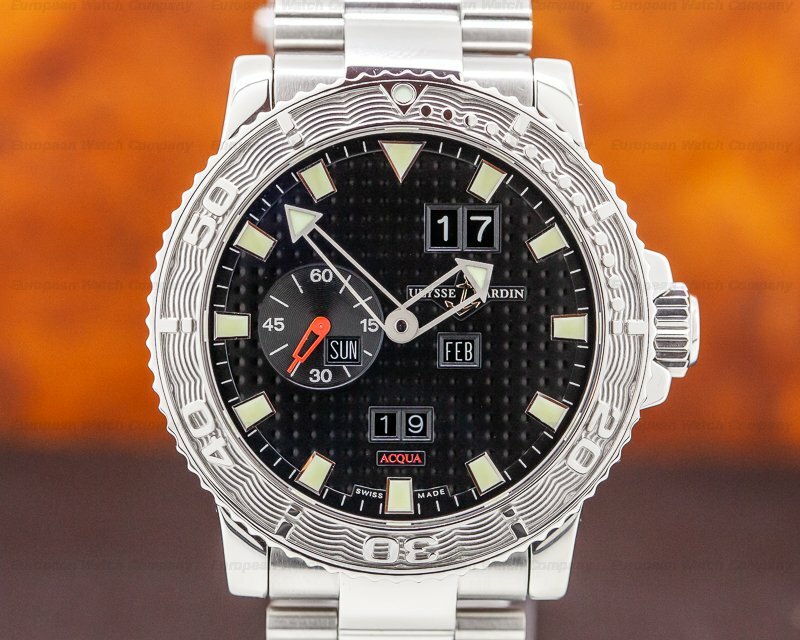 The dial is black with painted orange Arabic numeral hour marks, luminescent baton indexes, luminescent alpha hands, and an outer minute track. 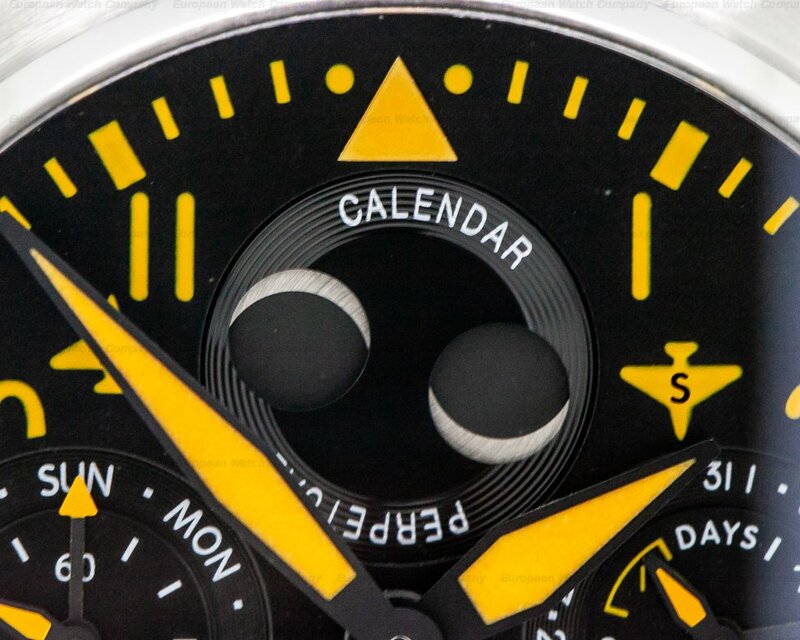 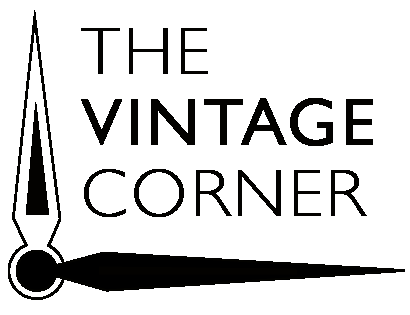 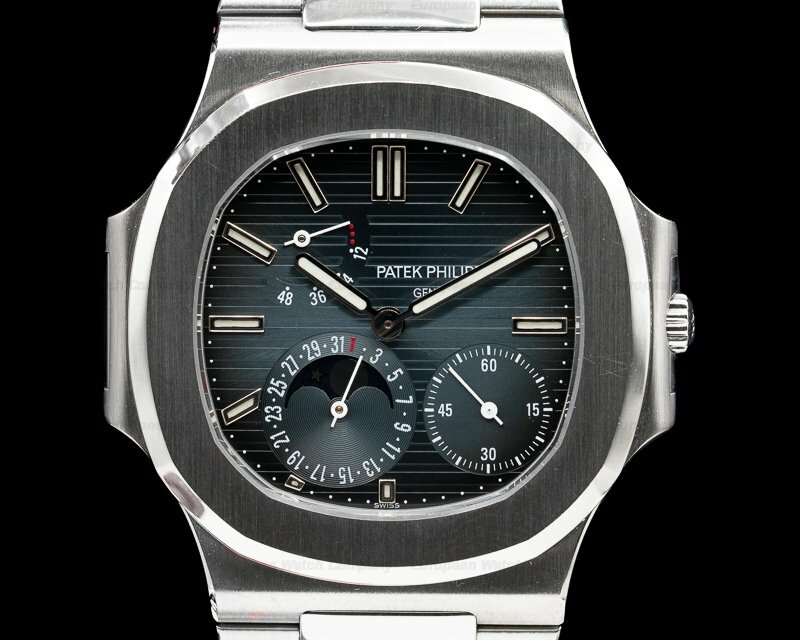 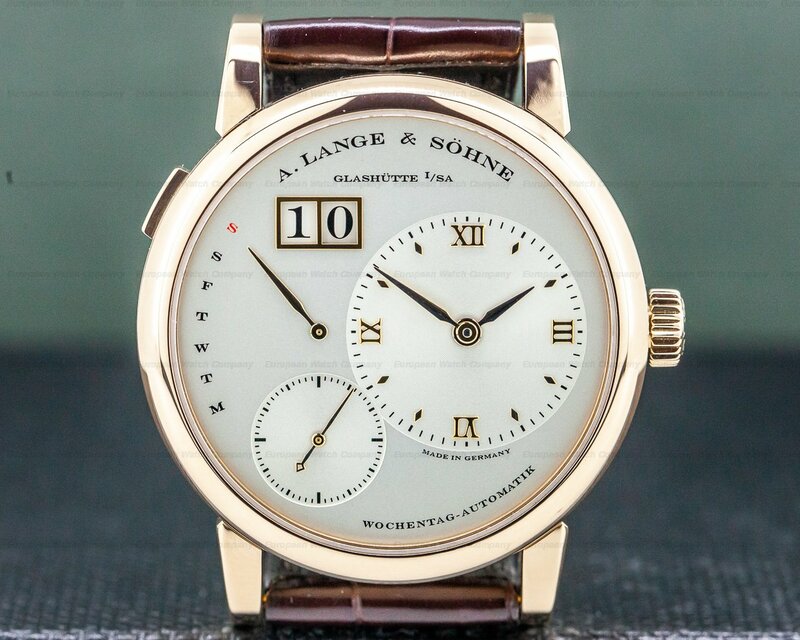 There is a four-digit year subsidiary dial between 7 and 8 o'clock, a 168-hour/7-day power reserve and date sub-dial at 3 o'clock, a month sub dial at 6 o'clock, a day dial with a constant seconds indicator at 9 o'clock, and a perpetual northern/southern moon phase display dial at 12 o'clock. 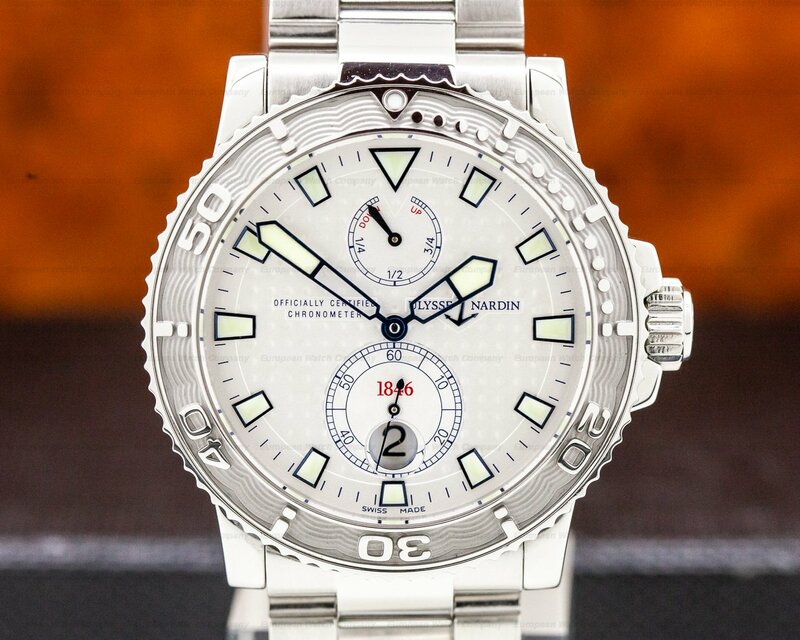 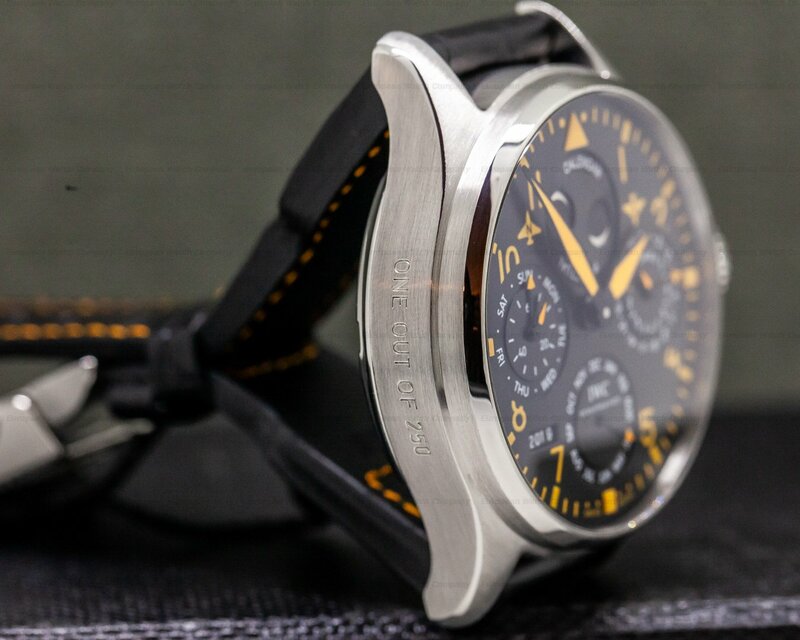 It's water resistant to 60 meters/180 feet, and the 16mm thick case, dial, and movement are all signed. 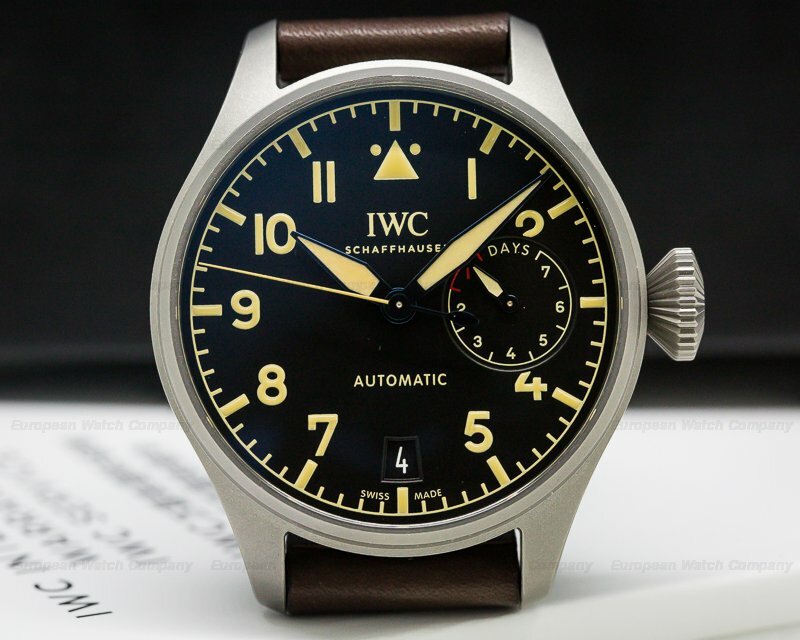 This IWC Big Pilot Perpetual Calendar IW502618 has a mechanical automatic self-winding IWC caliber 51614 movement that's rhodium plated with fausses cotes embellishment. 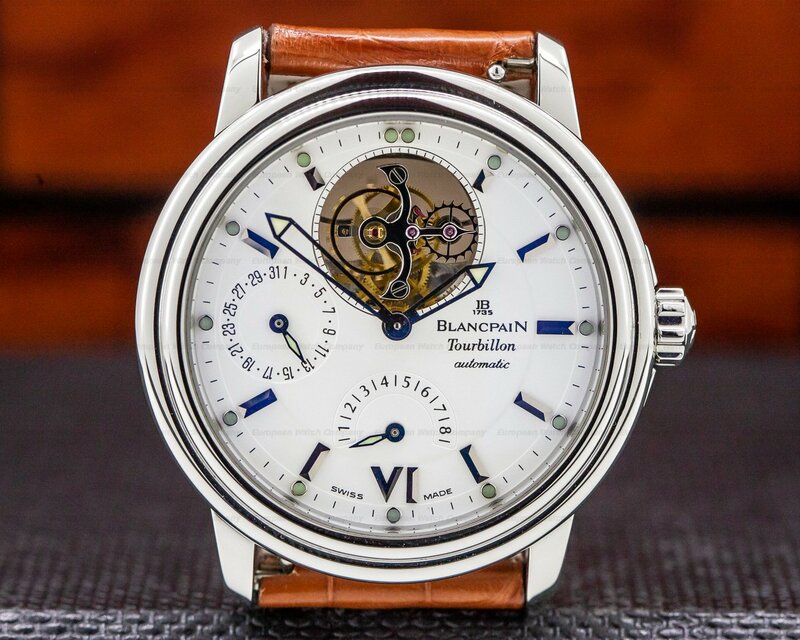 It has a Pellaton automatic winding system, a shock absorber mechanism, and a Glucydur beryllium alloy balance with high-precision adjustment cam on balance arms. 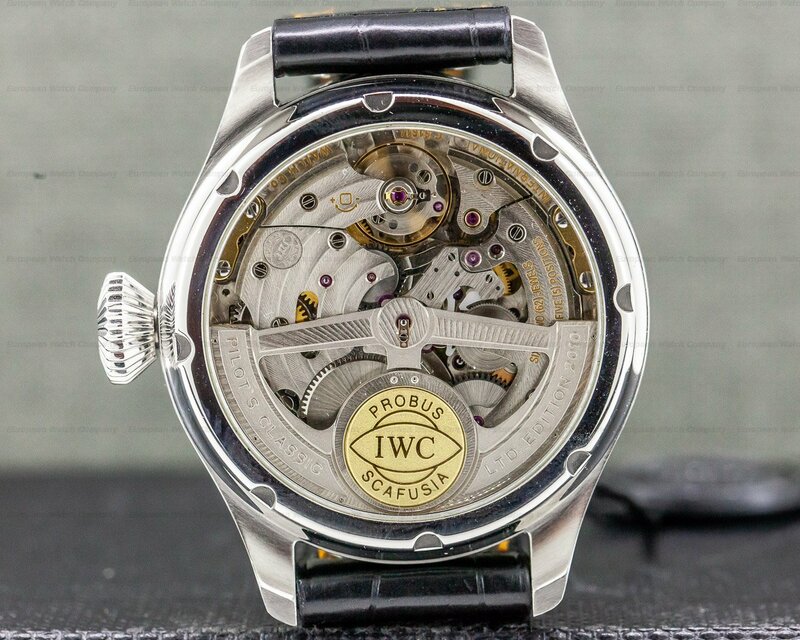 It's constructed with 64 jewels, an engraved rotor with an 18K gold medallion, and a Breguet self-compensating flat balance spring. 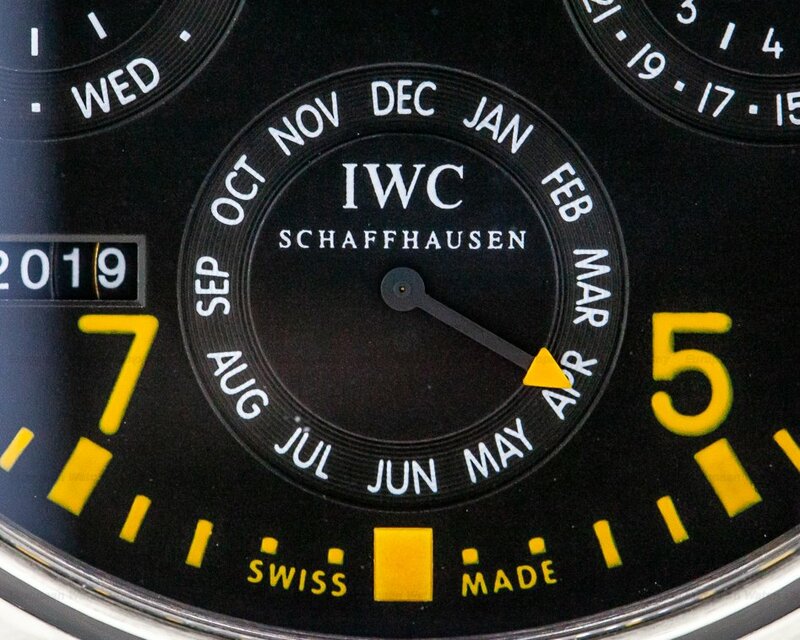 It includes small hacking seconds, and the rotor oscillates at a frequency of 21,600 vph (3 Hz). 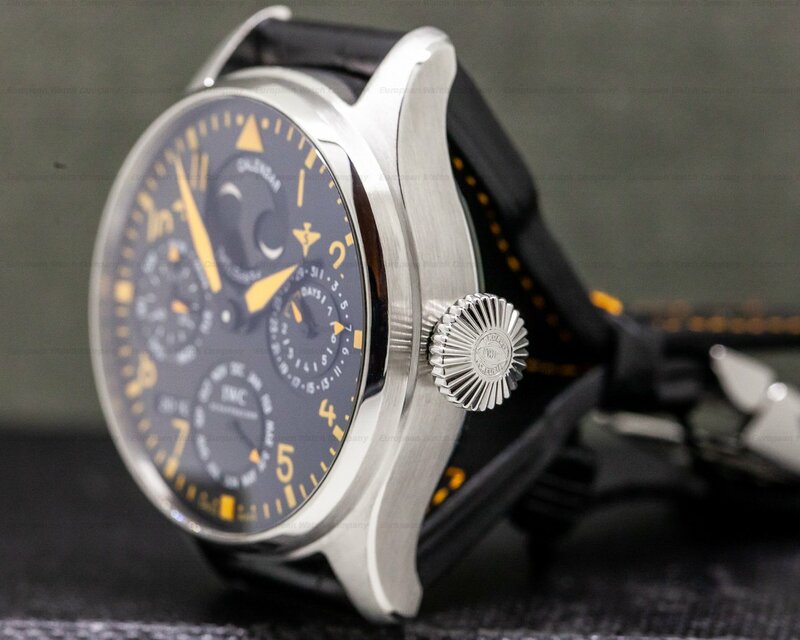 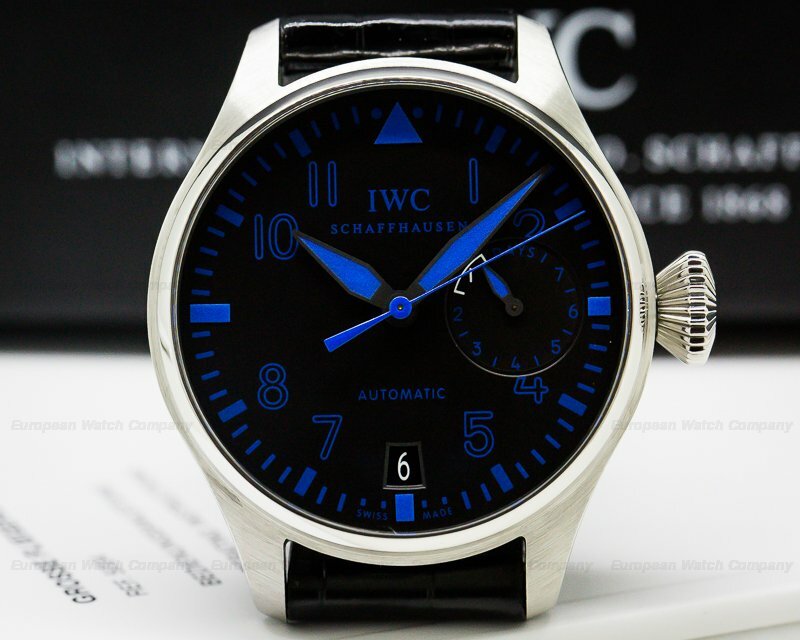 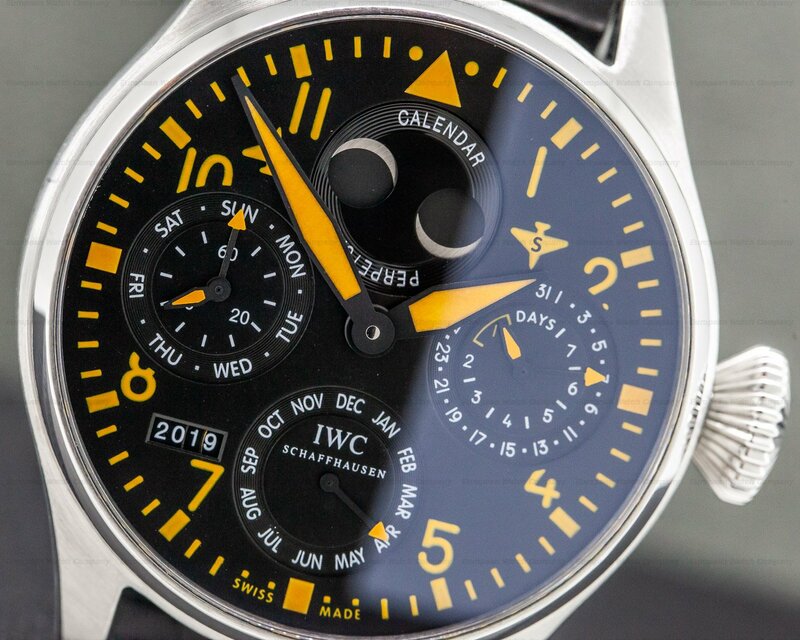 The IWC Big Pilot Perpetual Calendar IW502618 was produced in a limited edition of only 250 examples.